This valuable collection of articles and information is a one-stop source of facts and insights about consumer activism and the consumer movement and how it led to the creation of the Consumer Financial Protection Bureau and other key financial reforms. The contributors explore hundreds of major consumer protections that have enhanced the quality of life and safety for all Americans, showing how these protections were won through the skillful and determined work of leading activists and activist organizations—including Consumer Action. Many of the stories told here are related by the activists themselves, often for the first time. Consumer Action's Linda Sherry tells the story of Consumer Action's contribution to key reforms. The book also includes more than 40 entries about consumer movements in Europe, Asia, Africa, and Latin America. 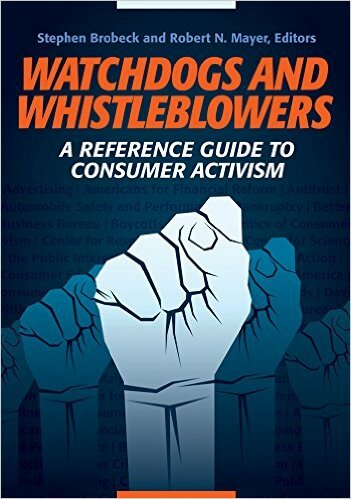 A timeline of key events and a listing of the most important books on the subject of consumer activism help provide context for the individual entries as do two introductory essays. Cross references in each entry establish linkages among topics.